Henri Rousseau wanted to be an artist, even though he had no formal training. Instead, he taught himself to paint, carefully honing his skill until the jungles and animals and distant lands in his head came alive on the space of his canvases. Throughout his lifetime, Henri Rousseau endured the harsh critics of his day and years of abject poverty — yet in his unwavering passion for his art he created brilliant paintings that now hang in museums around the world. Michelle Markel’s vivid text, complemented by the vibrant illustrations of Amanda Hall, artfully introduces young readers to the beloved painter and encourages young readers to persevere against all odds. 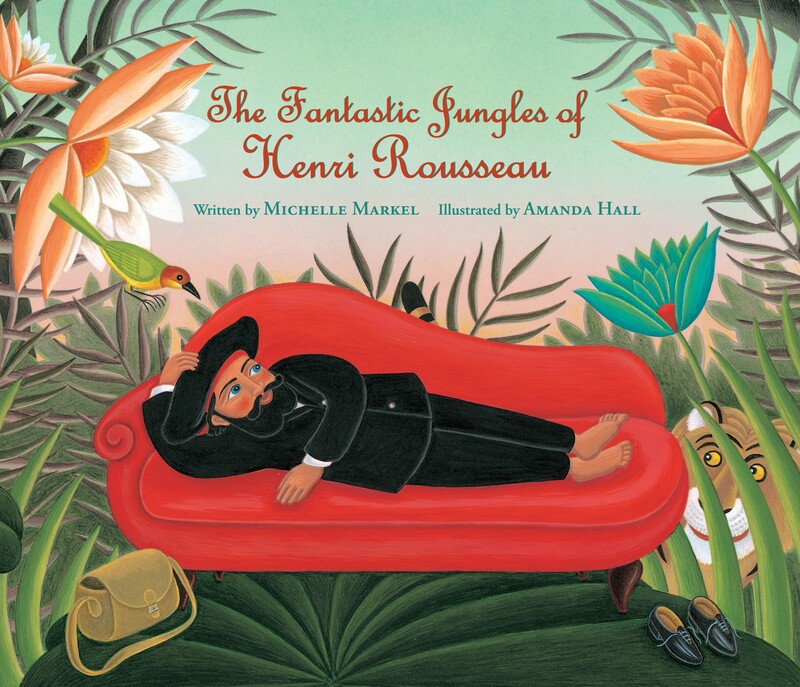 We hope you enjoy the opportunity to preview the story and art of Michelle Markel and Amanda Hall’s new picture book biography The Fantastic Jungles of Henri Rousseau (due out in just a few weeks) as you watch our latest book trailer below.